The documentation of that violent period was burned or buried in archives. Only a few survivors speak. The persecutors are silent in fear. The burning of religious objects and furnishings in Hebei. Bishops humiliated and arrested in Henan; nuns beaten with sticks and killed, or buried alive. A persecution that "is not over yet"; Today it is perhaps only more subtle. 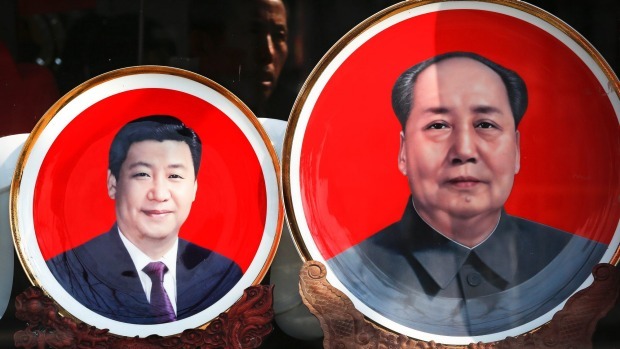 Hong Kong (AsiaNews) - The period of the Cultural Revolution has been officially judged by the Chinese authorities as "ten years of catastrophe". For religions and for the Catholic Church they were years of a most violent persecution and systematic suppression. 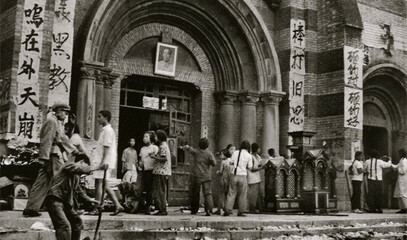 However there is little documentation of what exactly or how much Chinese Catholics suffered during the Cultural Revolution. There are many more reports on the persecution during the 1950s. The reason is that documents pertaining to the "catastrophe" were burned or buried in archives. And only recently a few victims have dared to speak about it. With the Circular of May 16, 1966, Mao Zedong launched the political struggle against his enemies which he called 'monsters and demons', that is, all those who opposed the control of the Party and the Communist ideology: intellectuals, the rich, landowners, counter-revolutionaries and followers of the various religions. 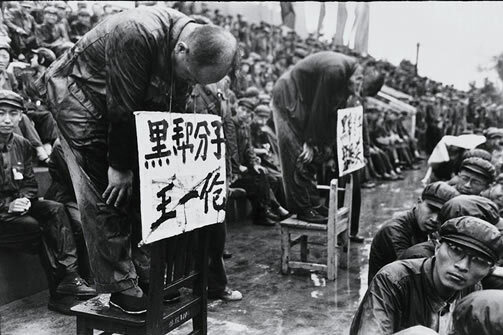 After the editorial in the People's Daily on June 1, "Sweep away all the monsters and demons", the Red Guards launched a violent campaign by arresting and persecuting all members of these categories. This was followed by the campaign to eradicate the 'Four Olds', old traditions, old customs, old culture and and old ideas and ideal reiterated in the Red Guards mass demonstration in Tiananmen Square on August 18, celebrated with the full support of Mao Zedong. From then on, the Red Guards stepped up their attacks: the followers of religions become one of their main targets. Christians, in particular, were immediately considered "enemies of the people" and Catholics were suspected of counter-revolutionary activities. The persecution rained down on believers and on religious buildings. The churches were stripped of everything, damaged and used as storerooms, factories or homes, if not demolished. Statues, vestments, religious articles and books were burned. The ordinary believers were driven from their homes, forced to walk the streets of their village and cities with tall cylindrical hats on which their 'crimes' were written. They were then sent to live in miserable dwellings or in huts, while the persecutors stole everything or destroyed or burned the rest of the decor. In June 1966, Msgr. Xi Minyuan was arrested and imprisoned accused of anti-revolutionary activities and relations with foreigners: he died in prison. In Kaifeng, Sr. Wang Qian, is bound, carried away by the Red Guards and buried alive. The sinologist Anthony Clark reports that during a visit to the church of the Savior (the Beitang) in Beijing, he noticed the gardener who paid special attention to the plot beneath a tree in the square. On further probing, the gardener confided that in the summer of 1966, a group of Red Guards attacked an elderly priest, tied him up and forced to kneel down and declare that he was abandoning his faith. However, given his refusal, they beat him to death and buried him in that place. In Taiyuan, Fr. Wang Shiwei was arrested, beaten and imprisoned. There he was bound and chained in a way that could not even lie down. After this torture, on February 15, 1970, he was led out of his cell and shot. On August 24, 1966 the last seven foreign nuns with other Chinese nuns who ran the Catholic School of the Sacred Heart for the children of the diplomatic corps in Beijing, were attacked and beaten by the Red Guards. One was whipped so hard in the face that she almost lost one of her eyes. The next day they were tried and the foreign nuns expelled, the Chinese sentenced to 20 years in prison. The trip from Beijing to Hong Kong was exhausting. Sr. Molly O'Sullivan, on reaching Lowu, it is so exhausted by a fever that she passes out. The guards throw her on a cart that the sisters push across the bridge. In Hong Kong she is immediately taken to hospital but died the next day and returned to her Heavenly Father. 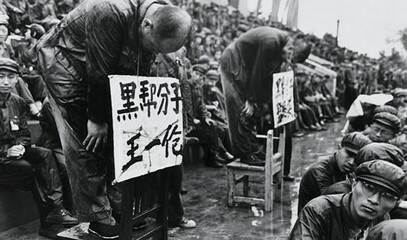 For Catholics who were already in prison or forced labor camps during the 1950s, the period of the Cultural Revolution became a terrible nightmare, because they were subjected to interrogations, attacks in public trials, insults, beatings and violence. Some survivors published their memoirs, such as Msgr. Dominic Deng Yiming, Fr ​​Francis Tan Tiande, Fr. John Huang Yongmu, Fr. Li Chang, Margaret Chu, Joseph Ho, John Liao and Teresa Mo, etc. 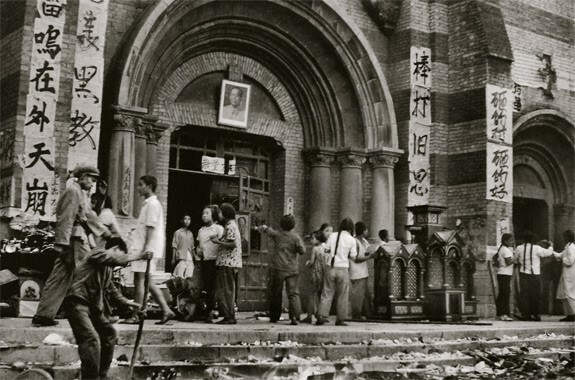 There are still so many tragedies and sacrifices that the Chinese Catholics have suffered during the Cultural Revolution, but which remain hidden in the heart of the victims and persecutors. Of these, few have had the courage to confess and ask for forgiveness; the majority do not feel the need to or perhaps just want to forget. Many victims and their acquaintances do not dare speak out of fear. Why? A priest who I invited to gather documentation on this period, confesses: "Speaking from the heart, I cannot express what I feel when I remember this time of great suffering, since given the present conditions of the Church the situation is not yet over. Perhaps the threat to faith is more subtle, but it goes deeper than in past generations. We must pray the Lord strengthen us and give us the courage to continue to witness to faith in our Savior”.